Snapchat has introduced a brand new ‘universal search’ feature to simplify the way users search for people. If you recall, previously the only way to add friends was through your contacts or having their usernames. 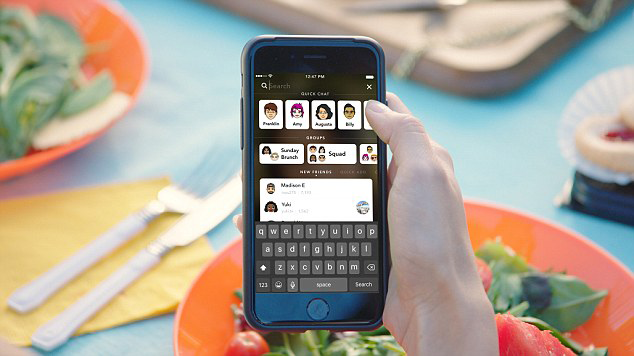 Now with the new search, Snapchat hopes to simplify the process allowing users to find friends easily through searching, discovering and groups. The new search feature will be spotted at the top of the app, giving users easy access to quick chat, view new friends, add new friends and search for content. The feature has rolled out on both iOs and Android. This will also be a good opportunity for Snapchat to make money, according to TechCrunch. With universal search also comes new revenue opportunities. Snapchat could potentially let advertisers pay for sponsored placement atop search results, or as suggestions in the search interface. This could allow Snapchat to directly monetize the desire of brands to build an audience on its network. When asked if ads were coming to search, the company declined to comment on future plans.